Church History is the discipline that investigates and describes the history of the Christian church in its original life and thought as an entity of God’s saving purposes in universal history. I have a deep love for those who have been raised in the Catholic Church. As a Protestant we share many cherished beliefs and values. However, we have some significant differences of belief as well. In this book Rhodes tackles nine of the major areas where Catholics and Protestants disagree. Here are the nine areas of conflict addressed by Rhodes: (1) Catholics believe that the Apocryphal Books should be included in the biblical canon – Protestants do not; (2) Catholics believe that tradition is authoritative for belief and practice, whereas, Protestants believe the Bible alone is authoritative for faith and practice; (3) Catholics believe that Peter was the first Pope, Protestants on the other hand hold that he was a great apostle (among various apostles in the early church); (4) Catholics hold to the infallibility of the Pope, the Bishops, and the Magisterium of the Church; whereas Protestants hold to the Bible as being infallible, but not the human leaders of the Church; (5) Catholics venerate Mary as a co-redeemer and mediatrix, a perpetual virgin, and various other views that conflict with Protestant views. Protestants simply view Mary as simply the godly mother of Jesus and nothing more. (6) Catholics mix justification and sanctification – adding human merit/works to one’s salvation; whereas Protestants view salvation as solely and entirely by grace through faith in Jesus – justification is instantaneous and once and for all. (7) Catholics and Protestants have a very different view on “mass” or the “Lord’s Supper.” Catholics hold to transubstantiation whereas Protestants hold to consubstantiation or the memorial/symbolic view. (8) In Catholicism Penance must be done to absolve sins, in Protestantism Confession of sin is to be made to God, not a human priest. (9) Catholicism believes in Purgatory (second chance after death); Protestants hold to no second chances after death. For each of these views Rhodes offers the Catholic argument first, followed by a Protestant rebuttal and defense. The chapters are short and only the most salient points are made. 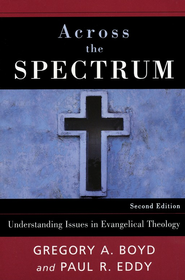 For each chapter Rhodes uses different icons to identify points made by Catholics and Protestants. Each chapter contains points to use with caution, helpful witnessing points, and supplementary and more detailed material that can be found in Rhodes’ larger book entitled “Reasoning from the Scriptures with Catholics.” As of this review Rhodes has written a few other short books of this ilk on Creation and Evolution; Mormonism, Jehovah’s Witnesses, Islam, and Masons. I highly recommend this resource. It’s short and to the point, and yet delineates some key points to help Protestants share the good news with their Catholic friends. 2. Even if you’re a Christian, you don’t realize how radically fallen and blindly dysfunctional you remain. Dane C. Ortlund (PhD, Wheaton College) is Senior Vice President for Bible Publishing at Crossway. 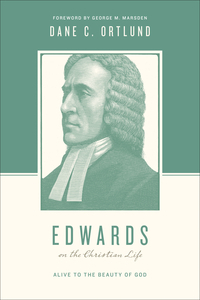 He is the author of several books, including Edwards on the Christian Life: Alive to the Beauty of God, and serves as an editor for the Knowing the Bible study series. He lives with his wife, Stacey, and their four kids in Wheaton. These are both movements that really affect a large swath of the evangelical Church with Covenant Theology affecting so much of the Church in the Reformed tradition and Dispensationalism largely through the first study Bible that came out, The Scofield Reference Bible (that was the only one when I was growing up; my folks had the Scofield Reference Bible). It made a big impact on Dallas Seminary and all of its graduates when Dallas was putting out so many pastors for Bible churches and independent Baptist churches. The Bible school movement was largely Dispensational. Moody Bible Institute and most of the Bible schools around the country were Dispensational. Some other seminaries that were Dallas-influenced are Talbot Seminary, Biola University (it used to be Bible Institute of Los Angeles and that is where Biola comes from; J. Vernon McGee and a number of people connected with Biola were Dispensational), Western Seminary (where I went) used to be a Dallas clone and it was Dispensational. So many areas in evangelical life in North America were affected by it. We need to take a brief look at these two views. One heartening thing I will tell you at the beginning is it is one of those wonderful areas where, though there was such disagreement forty years ago, to the point where there were strong accusations being made by both sides about the other, today there has been a coming together of these movements by sort of progressives of both sides. With Modified Covenantalists and Modified Dispensationalists, the differences between them now, among those Modified groups, is minor in significance. It is not that much to worry about, to be honest with you. It is one area where godly, humble biblical scholarship and theological reflection has resulted in both sides being willing to acknowledge the excesses of their traditions and make changes. The result of that has been to come together in a marvelous way. If you want to read something that talks about this well, Dr. Russ Moore wrote his dissertation on the changing theological positions of Dispensationalism and Covenant Theology as that affects socio-political action. But in order to get that “as it affects” part, he had to do quite a bit of theological ground work in describing what was going on in these two movements. A large portion of his dissertation relates to mega-changes, and the mega-shifts that have taken place in both of these movements. It is very well done. Covenant theology holds, in terms of its basic understanding of Scripture, that we should understand the Bible as portraying fundamentally two covenants: a Covenant of Works and a Covenant of Grace. In the Covenant of Works, God made a covenant with Adam in the Garden, according to Covenant Theology. Namely, if you obey me and follow me and resist eating of the tree of the knowledge of good and evil; if you stay away from that, if you don’t eat of that tree and follow me in obedience, then you will ultimately receive life. Covenant theologians have seen this as something more than the life of Adam then. It is not just a continuation of his life in the garden temporally, but what we would speak of as eternal life. They propose that there must have been a probationary period in which this testing was undertaken. Had Adam passed the test (who knows how much longer it might have been; maybe two more days and the test would have been over; we just don’t know), then he would have received eternal life because of his works. But if Adam failed the test, if he were to eat of the tree of the knowledge of good and evil in the garden, then we know from the text, in the day that you eat from it you will surely die (Gen 2:17). So death for disobedience; life, presumably a better life, a greater that the life he had now for obedience. Covenant theologians acknowledge that the first part of this, the promise of life for obedience, is not stated explicitly in Scripture. But they think that it is implied by the negative statement, “If you eat of it you will die”. If you don’t eat of the tree, then you would receive the gift of eternal life. If that is the case, then it must be something different than what you have now, and if that is the case, there must be a probationary period. There must be a time period after which this would be given. All of that follows from what they know to be the case; namely, there is command given that if you eat of the tree you will die. The other part of it is spin off from that. We all know that Adam failed the test and brought death upon himself and all of his progeny. Romans chapter 5 tells us that in Adam all sin and deserve his death. So we learn from Paul in Romans 5:12 and following that all die in Adam’s one sin. In order to save sinners, God brings about another covenant. This is not a Covenant of Works because sinners could never work to make the payment necessary to satisfy a holy God on account of the offense that has been committed. The guilt is too great, and the offense is too serious. Another Covenant of Works (work it off now, pay your dues, pay off your debt) won’t work for human beings, for sinners. God inaugurates, instead, a Covenant of Grace, whereby his Son will pay the penalty for sinners, and those sinners in exchange will receive the righteousness of Christ. It is quite a deal for sinners. We give Christ our sins and he gives us his righteousness. Double imputation is part of this understanding as well. Our sin is imputed to Christ, so he pays the penalty for our guilt and it is charged against him even though he doesn’t deserve to pay it. That’s what imputation means at that point; our sin is charged against Christ, and his righteousness is imputed to us; it is credited to our account by faith – justification. How much of the Bible does the Covenant of Works cover, what does it span? The Covenant of Works covers Genesis 1, 2 and part of Genesis 3 where the sin takes place. What about the Covenant of Grace where sinners now cannot be saved by works? If they are going to be saved it has to be by grace? Genesis 3 to Revelation 22. The point of this is that it leads Covenant theologians, in the traditional understanding, to think in terms of the broad sense of the holistic nature of virtually all of the Bible, from Gen 3 on, which is most of the Bible. Basically, the whole Bible fits under this Covenant of Grace notion. This leads to, in Covenant Theology, a strong sense of uniformity throughout the Bible, that is a strong sense of continuity. There is one thing God is doing from the sin in the garden and on, that is he is providing for human sin and saving the people. The Covenant of Grace spans both Testaments; it spans Israel and Church. In that sense, it leads to a unified sense in all of Scripture: Old and New Testaments together. “For what the Law could not do [under the law this didn’t happen, the Law couldn’t do this], weak as it was through the flesh, God did: sending his Son in the likeness of sinful flesh [we are talking history now, at this point in history, when Christ comes], and as an offering for sin, Him condemned sin in the flesh, so that the requirement of the Law might now be fulfilled in those who do not walk according to the flesh but according to the Spirit.” (Rom 8:3-4) So that looks to me like we ought to read it as under the Law things were one way, but now that the Spirit has come, Christ has come, things are different. But if you read the Old Covenant writers on the Holy Spirit, you will find a very strong urge to assume that New Testament teachings about the Holy Spirit must be true of Old Testament saints as well. A similar thing might be said of Christology. There is a very strong sense of trying to see as much as possible of Christ in the Old Testament. Luke 24 makes it very clear that Christ taught concerning himself from the Law, the Prophets and the Writings (Luke 24:27). It is a matter of which texts, what they are saying, and to what extent. There is a tendency in Covenant Theology to see more than what others might see from other traditions. The main point I am trying to stress here is that with this Covenant hermeneutic there is a tendency to see uniformity of content between the Testaments. One of the places where this becomes both the clearest and most decisive in terms of separating covenant and Dispensational views is how Covenant Theology understands Israel and the Church. Here again, with the basic hermeneutic of uniformity, Covenant Theology would view true Israel as the people of God, that is, true Israel, saved Israel as the people of God and the Church as the people of God. There is really one people of God in both Testaments, both saved by faith, both serving the same God, both the special objects of God’s saving love. Israel really could be thought of and spoken of as the Old Testament Church. The Church in the New Testament can rightly be thought of as New Testament Israel. So we have Old Testament Church, that’s Israel, and we have New Testament Israel, that’s Church. So there really should not be seen significant differences as they are the people of God. Granted Israel is also ethnic and the Church is multiethnic. But apart from that difference, as it relates to nation and ethnicity, we ought to understand the people of God, as believers, constituting the same group of people. What about promises made to Israel that seem to relate to a time in the future; for example, Israel coming back to her land, or her ultimate salvation by God. What about promises that look like they are eschatological in the Old Testament, and are not fulfilled at any particular point in history in the Old Testament or New Testament period? What do we say about those promises that relate to Israel? God makes the promise, I’ll take from your lands where you have been and I’ll bring you back to your land and you shall have one God, and I will reign over you, and I will destroy your enemies. All of these promises given to Israel, what should we do with those? In Covenant Theology, there is a very strong tendency to go in the direction of saying those promises made to Israel are fulfilled in the New Testament Israel – the Church. So the Church becomes the object of those promises. In Covenant Theology there is a very strong tendency to see Old Testament promises as coming straight forward and being fulfilled in the Church. So the land promises (you will be back in your land) shouldn’t be understand as literal land; there is not going to be a day when the ethnic people of Israel occupy literal geography; that is not the point of those promises. It is rather that they will have their kingdom, and it is a spiritual kingdom. So the promises to Israel are to be fulfilled in a spiritual manner in the Church. When it talks about the Jews being saved, we are all Jews. Remember Paul in Romans 2 says, we are circumcised in Abraham. We are, by faith, part of the seed of Abraham in Galatians (Galatians 3:16). We should understand that all of us are Jews spiritually because we are tied in through Christ, through the seed of Abraham. After all, the promise in Genesis 12 was that through Abraham all the nations in the world will be blessed. (Genesis 12:3). So we are tied in. What about the reign of Christ over nations? This is not a political military reign; it is a spiritual reign as people from every tribe and nation are brought into subjection to Christ. So in Covenant Theology there is a very strong tendency to see, basically, Israel and the Church as equated spiritually. One place that you see that Reformed Baptists differ is with pedobaptism. In Presbyterian, Anglican, and the majority of reformed theology, they hold to pedobaptism. Here the same thing is happening; Israel circumcised their people as a sign of the Covenant and we are the new Israel. The difference is that our sign of the Covenant is a sign that is Christological in nature because we have been brought together in Christ; everything in the Old Testament pointed to him. Christ has now come, so the sign of the Covenant changes to baptism as a mark of Christ’s death and resurrection. Just as Israel’s sign of the covenant was given to infants, so the Church’s sign of the Covenant should be given to infants. Honestly, the strongest argument for pedobaptism (in my judgment) is a theological argument; if you try to argue texts, you run out quickly. In a used bookstore in Springfield, Illinois (we were visiting there as a family to look at all of the Lincoln memorabilia that was there), I spotted a rather sizable book on the shelve; the spine was pretty fat. It said on it, All That The Bible Teaches About Infant Baptism. That was the title of it. Wow, I thought, this is a thick book; it is impressive. So I took it off of the shelf and opened it up and it was an empty book. It was just all blank pages. They were charging something like $18 for it, so I didn’t buy it, but I wish I had. I would like to have a copy of that book. The argument is really a theological one: Israel, Church, sense of unity, and hence a very strong case is made on theological grounds for pedobaptism. One question is: How do they understand a more unified sense of the Holy Spirit’s work in the Old Testament when it looks as though in the Old Testament there are these special works with selective people? What they argue, in particular, are primarily theological arguments. These people had to be regenerated. How does regeneration take place? We know from John 3, it must come from the Holy Spirit. So you see how this works; these people exercised faith didn’t they? Where did faith come from? It must have come from the Holy Spirit. So it is a theological argument that utilizes what the New Testament says the Holy Spirit does. It sees those same actions or similar actions in the Old Testament and concluded that Holy Spirit must do these things as well. It is a very important question of how to account for Hebrews 11, the faith chapter. How do you account for a Daniel and a Joseph who exercised tremendous trust in God through very difficult experiences? It is a very good question, and I think that we just have to work very hard in the Old Testament to try to understand what is said there and what is happening there and take seriously the notion that something new takes place. Roman 8:3-4, says, “In order that the requirement of the Law might now be fulfilled in those who do not walk according to the flesh but according to the Spirit. Those are remarkable words. Or in Galatians 3 (Galatians 3:24, to be precise) the Law is a tutor to lead us to Christ. It is a tough question; I’ll admit it. I think that are some things that can be said, but it’s why this theological reasoning is persuasive to a number of Reformed people. The problem is so many Old Testament texts indicate the selectivity of the Spirit at work in the Old Testament and then there are specific texts that promise a future day that matches New Testament reality. Ezekiel 36:27 says, “I will put my Spirit within you and cause you to walk in my statutes, you will be careful to observe my ordinances.” You read that and realize the holiness that He requires of his people will come about when the Holy Spirit comes and works in them. Think of 2 Corinthians 3:3, the letter written on their hearts by the Spirit. This is New Covenant. Dispensationalism is an understanding of the Bible, of biblical history, that notices and points to distinguishable Dispensations or administrations of God’s purposes, will, and relationships with people in general and particularly his people. The key idea in Dispensationalism is progressive revelation. This is the bottom rock notion in this understanding of reading the Bible. Progressive revelation means, essentially, that God provides revelation at a particular time and that revelation provides certain commandments, requirements, warnings and promises. Some of those commands, warnings, and promises may continue beyond when that revelation is given, beyond the next period when great revelation is given. Or some revelations may stop at that particular point. When new revelation comes with Noah, or then with Abraham, or with Moses (think of these periods where new great revelation is given), some things continue on, and some things continue all the way through. Obey the Lord your God; that is from the beginning right to the end. In the revelation given to Adam in the garden, the command, “You shall not to eat of the fruit of the knowledge of good and evil for in the day you eat of it you will die,” (Gen 2:17) doesn’t apply to you and me anymore, specifically as a commandment. Where is that tree? How could you eat of it? You can’t. So it applies to Adam very much so. When revelation comes, there may be new things that start up that were not here before. Noah is told that he can eat animals; that is part of the statement made to Noah after the flood. He can eat these animals (Genesis 9), but he cannot kill human beings (I take it that continues). I don’t find vegetarianism theological defensible. Both because of what God says to Noah about eating animals (which I assume continues), and certainly the prohibition of killing humans continues. Nor do you find it defensible in light of Israel, in what they are permitted to eat. And Jesus who pronounced all foods clean is obviously talking about unclean foods, which would include pork. So I guess you can have a bacon or a ham sandwich. The point is that with progressive revelation, you see some things that are new which continue only for a time, and there are other things that might start, ones that weren’t here before, which continue all the way through, and some things which are just for that time period itself. This, then, amounts to different dispensations, different ways in which God administers his relationship with people. The most obvious example is the Mosaic Covenant and the New Covenant. We now have in this time period these laws that relate to the sacrificial system; and it is clear that they last until Christ comes who fulfills what they are pointing to: the Lamb of God who takes away the sin of the world. When God’s Lamb comes, then you don’t have to keep taking your lamb to the priest to be slaughtered. When the High Priest reigns, you don’t need a priest any longer. So here we have in this time period laws that are very relevant, extremely relevant, in exact literal detail. Fulfilling those Laws is extremely important in this time period, then when Christ comes they end. You don’t take a lamb; you don’t go to the priest; the priest doesn’t have to prepare himself for the Day of Atonement. All of these things that were there before are done. This is the main idea of Dispensationalism. It is progressive revelation. When revelation comes you need to notice what things have quit what was revealed before, what things start that weren’t revealed before and what things endure. Whatever you come up with in that time period marks that particular dispensation as the revelation of God in that time period. This notion of progressive revelation has lead Dispensationalist to interpret the Bible, to look at biblical history and interpret where you are in the Bible, very differently than the way Covenant theologians look at the Bible. The tendency in Covenant Theology is to look for uniformity; there is one Covenant of Grace that spans virtually the entire Bible. So there is a tendency to see this uniformity; there is one people of God. In Dispensationalism the mindset is very different. It is instead to notice discontinuity, differences in how God relates to people depending on the revelation that is given at that particular time. It is much more attuned to the discontinuities between various dispensations and to respect those, to be careful not to interpret something in this dispensation as you are reading it from a different time period. So you are not being respectful of what it means here. Charles Ryrie no doubt overstated it in his book, Dispensationalism Today, but he gave this threefold sine qua non (a Latin phrase meaning without which there is none) of Dispensationalism or the essential markings of Dispensationalism. One of them is a literal hermeneutic. He didn’t mean you interpret poetry literally. John kicked the bucket means that John died; that is the way you are supposed to interpret it. He didn’t mean literal in the sense of ignoring metaphorical poetic meanings or terms. What he meant by that is, when reading the Bible, understand what an author intends to say within the historical context of when he is writing it, so that you don’t read back into it things from the future or read forward of things in the past. You take care to read it within its own dispensation. That is what he meant by literal hermeneutic; to understand what the author meant then and there as he spoke at that time. A literal hermeneutic has led to, in particular, the way Israel and the Church are evaluated. It is clear in Dispensationalism that Dispensationalists insist upon seeing Israel as Israel and the Church as the Church. There is a strong discontinuity between the two. The Church starts as Christ built it. Remember Jesus said in Matthew 16:18, “I will build my Church.” Therefore, we shouldn’t talk about it in the Old Testament, even though the term ekklesia is used in the Septuagint (it is not being used in the technical sense, it just means a gathering of people together). We shouldn’t talk about Old Testament Israel as the Church. Jesus said, “I will build my Church, the gates of Hell will not prevail against it. Wait in Jerusalem until the Spirit comes” (Acts 1:4), “And when he comes he will anoint you with power” (Acts 1:8). So Pentecost is the beginning of the Church. We shouldn’t talk about Israel as the Old Testament Church nor should we talk about the Church as the New Testament Israel because Israel is an ethnic national group and we are multiethnic; we are multinational. It is confusing to talk of the Church as Israel. So as it pertains to these promises we talked about under Covenant Theology, what do you do with the Old Testament promises that particularly relate to Israel? How do understand these when God says through the prophet Ezekiel in Ezekiel 36:24, I will take you from the lands where you have been and bring you back to your land. And he goes on to say at the end of Ezekiel 37 that the Messiah will reign as your king; David will reign as your king. What do you do with these promises that relate to a future for Israel where the Messiah is reigning over his people in the land, the nations are subjected to the Messiah, and there is peace on earth; what do you do with these? If these promises have to do with Israel, instead of seeing them fulfilled in the Church (because the Church is not Israel), you see them fulfilled at a future time when God will finish his promised work with Israel. There is a sense in which the premillennial view for Dispensationalism is supported because of Old Testament promises to Israel whether or not you have Revelation 20. Revelation 20 is a really nice extra to have because it gives you the exact time period, a thousand years. It makes it crystal clear that this comes after Christ has returned to earth and he reigns upon the earth for this thousand year period. That is nice to know all that, but we didn’t need Revelation 20 to know there had to be a time period in the future after Christ returned for God to finish his work with Israel. Why? Because these promises back here talk about land, Messiah, Jerusalem. According to a literal hermeneutic, what did Ezekiel, Isaiah, and Zachariah mean when they said “Jerusalem”? What did they mean when they said “in your land”? What were the authors intended meanings of these terms: land, Israel, Messiah, and other nations? They understood those things to be referring to physical realities. Have they happened yet? Has Messiah come? No. Is Israel in her land? Hence all the hoopla over 1948; this is when Dispensationalism just went nuts because here we have what appears to be (of course people said it much stronger than that back then) God’s movement to begin the fulfillment of bringing Israel back to her land to fulfill all of these promises. Then there were all kinds of speculation that came in terms of date setting and that kind of stuff. In my judgment, Dispensationalism has far more merit as a Biblical Theology than its popularizers have allowed it to have in public perception. The popularizers went too far; they extended it into the unknowable. It was speculation but stated as fact. This has hurt the Dispensational movement, in my view. So for dispensationalists, God is going to come back and wipe out the nations and save Israel, that will happen during the tribulation and he (The Messiah) is going to reign in Jerusalem over his people in the Millennial period fulfilling Old Testament promises. What has happened, essentially, is that the notions that Israel equals the Church or Israel is totally separate from the Church have been challenged by both representatives in the Covenantal tradition and representatives in the Dispensation tradition. Both have come to see that a better model is one in which there is continuity and discontinuity together. Something like a screen between the two rather than a complete equation or a complete separation of the two. Some things can pass through (hence the screen), yet there are differences between them. One the Covenant side there has been a recognition, for example, that we really should think of a future for Israel. There was a time when very few Covenant theologians would deal with Romans 11 (Roman 11:17, 23, 24, 26) where Paul talks about the olive tree and the natural branches were cut off and the unnatural branches were grafted on. But a time will come when he will graft the natural branches back on to the tree; that is Israel. That analogy is so helpful. How many trees are there in that analogy? One. How many kinds of branches? Two. Do you have one people of God or two? If you mean one people in Christ, then there is one. If you mean specifically designated Jewish people, for whom God has specifically promised salvation, verses the rest of God’s saved people, then it is two. How else do you understand the natural branches and the unnatural branches? Doesn’t Paul continue to think of the people of God as comprised of Jews and Gentiles? At the moment, most of those Jews are not saved; there is a hardening that has taken place. That is how he describes it in Romans 11. This hardening has taken place, so the Gospel has gone to Gentiles, but the day will come when he will graft the natural branches back on. Who are those people? They are Jews; they are going to be saved. So Paul says, all Israel will be saved. It was difficult for Covenant theologians and Covenant interpreters (a few did but not many) to see that as ethnic Israel. But increasingly in this more modified understanding, you are finding more and more Covenant theologians, people from the Covenant tradition acknowledging that, yes, this is what Paul means; he means that there will be some kind of future salvation of Jews – literal ethnic Jews. Whether this has to happen in the way Dispensationalist conceive it in a tribulation period where vast persecution takes place, tremendous destruction of people and material well-being in everything across the world, and at the same time massive conversions of Jews to Christ, or whether it happens in this age through some kind of evangelistic effort is really beside the point. That is a secondary question. Where there is much more agreement among Dispensationalists and Covenant theologians (in the Modified groups) is that it does look like there is future salvation of Israel. Dispensationalists have changed. I think it might be fair to say that they have done more changing than the Covenant side. I think that is correct. In other words, Dispensationalists have recognized a bit more that has needed to be changed in their views and tradition than has necessarily been the case in with Covenant theologians. I will give an example of this. In fact, I have written an article on this in the book that Darrell Bock and Craig Blaising edited entitled, Dispensationalism, Israel and the Church: The Search for Definition. I have a chapter in there on the New Covenant. Here is basically what I talk about in there. In the old view for Dispensationalism, Israel is one thing and the Church is another and you can’t mix the two. Here you are, reading your New Testament and you hear Jesus say, “This cup is the new covenant in my blood” (1 Cor 11:25). And Paul says, I am a minister of the New Covenant (2 Cor 3:6). And Hebrews speaks of the Old Covenant is taken away, and the New Covenant has come (Heb 8:13). The New Covenant is the Covenant for the Church, the Old Covenant is the Mosaic Covenant, the Covenant for Israel. What do you do with how Jeremiah 31-34 relates to the New Covenant for the Church, the New Covenant that Paul talks about in 2 Corinthians 3, where he says he is a minister of the New Covenant? How do you relate Jeremiah 31 to that? There is a real problem with that because Jeremiah 31 (Jeremiah 32:31) says, “Behold, days are coming when I will make a new covenant with the house of Israel and the house of Judah.” In traditional Dispensationalism, Israel is one thing, the Church is another and here you have this statement about a new covenant with the house of Israel, so what relation does this Jeremiah 31 New Covenant have to do with the 2 Corinthians 3 New Covenant, of which Paul is a minister? Jesus says, “This cup is the New Covenant of my blood”(Luke 22:20), and Paul in 1 Corinthians 11:25 repeats that, so what is the relation between the two? The dispensational answer is that they are two separate Covenants. Traditional Dispensationalism had a two New Covenant view. Because Jeremiah 31 had to be for Israel, whatever Paul is talking about, whatever Jesus is talking about, and (here is where it get really messy) whatever Hebrews is talking about has got to be a different covenant. Now why did I say that, here is where it gets really messy in reference to Hebrews? Because Hebrews 8 and 10 quote Jeremiah 31 twice (Hebrews 8:8,9; 10:16) in making the point that the Old Covenant, the Mosiac Covenant is done away and New Covenant, to quote Jeremiah 31, “has taken its place”. Even despite that, they maintain this difference. This is how strong the theological commitment was to two peoples, Israel and the Church; keep them separate and don’t confuse them. It was so strong that even with Hebrews starring at them quoting Jeremiah 31, they insisted on two different Covenants. The text won with Progressive Dispensationalists (That is what they are called). Craig Blaising, who taught here for years, is one of the main leaders of this movement. He and Darrell Bock at Dallas are the champions of Progressive Dispensationalism. They argue that we have got to say that the New Covenant of Jeremiah 31 is the Church’ New Covenant. What else would Jesus be referring to? The phrase, New Covenant, is only used one time in the Old Testament; it is in Jeremiah 31. Hebrews quotes it and says the old has passed and this has come in its place. So we have got to understand this is to be the Church’s New Covenant. In my article here is what I proposed: Are we to say then that everything that Jeremiah 31 talks about is fulfilled now in the Church? In other words, should we do this sort of an interpretation of Jeremiah 31; in which we have an Old Testament promise and we draw the arrow straight forward and say Jeremiah 31 is fulfilled in the Church period? I say no. Rather, I think that we draw an arrow forward and we draw an arrow to the future; we draw both. What allows for a “both and” answer? It is both in some sense fulfilled in the Church and in some sense fulfilled in the future. This is the theology of one of the strongest opponents of Dispensationalism: George Eldon Ladd. Ladd is the one who really faced the evangelical church with this “already not yet” theology. We understand biblical eschatology as being fulfilled in a preliminary partial way, but are still awaiting the complete consummation, complete fulfillment. This is a different topic; I’ll come back to New Covenant. How do answer the question has the Kingdom of Christ come, or is the Kingdom of Christ here? “Yes but,” or “Yes and no.” Don’t you have to say both? Is the Kingdom of Christ here? Yes, Colossians 1:13 says, We have been transferred from the dominion of Satan into the Kingdom of his beloved Son. In Matthew 12, Jesus casts out a demon, and the Pharisees said he casts out demons by Beelzebul (Matthew 12:24 ). But he says in response, “But if I cast out demons by the Spirit of God, then the kingdom of God has come upon you” (Matthew 12:28). So has the kingdom come? Yes. But what does the New Testament call Satan at various points? The god of this world (2 Cor 4:4), the ruler of this world (John 12:13), and the prince of the power of the air (Eph 2:2). When you read Isaiah 9:6, 7, have you ever asked yourself the question, has this happened? “For a child will be born to us, a son will be given to us; And the government will rest on his shoulders; And his name will be called Wonderful Counselor, Mighty God, Everlasting Father, Prince of Peace. And of increase of his government there will be not end to establish it and to uphold it from this day forth and for ever more for the zeal of the LORD of hosts will accomplish this.” Has this happened? Did you read the paper this morning? Something tells me we are not there yet. This was exactly John the Baptist’s problem. This is huge to get this. John the Baptist in Matthew 11 sent his disciples to ask Jesus, “Are you the appointed one or shall we look for another?” (Matt 11:3). This is an incredible question, an unbelievable question. John the Baptist witnessed the dove descend on Jesus (John 1:32), and was told, “The One upon whom you see the dove descend, this is my son; follow him (John 1:33). John the Baptist baptized Jesus (Matthew 3:13-16). John the Baptist was the one who said, “He must increase, but I must decrease” (John 3:30) and, “I am not worthy to untie the thong on his sandal” (John 1:27). He said, “Behold, the Lamb of God who takes away the sin of the world” (John 1:29). This is John the Baptist who now in prison says, I’m not sure if this is the anointed one. What has happened? John knows his Old Testament. This is the problem; he knows the promises that relate to the Messiah. When the Messiah comes, guess what the Messiah is going to do? Isaiah 9:6, 7 says he is going to reign over nations. Read the prophecies of the coming of the Messiah. Incredible devastation to unrighteousness; he is going to destroy those who stand against him; he is going to exalt Israel. Here is the forerunner of the Messiah in prison. What is wrong with this picture? That is what John is thinking. So he thinks, maybe this isn’t the Messiah after all. Consider the angst that he must have been going through in prison, the huge spiritual struggle he must have been facing for that question to come out of him, of all people. Jesus’ response is brilliant. “Go tell John what you hear and see: the blind see, the lame walk, the deaf hear, and poor have the Gospel preached to them” (Matthew 11:4, 5). Jesus is quoting Old Testament prophesies about the Messiah. So the point is, John, don’t miss it; the Messiah is fulfilling prophecy; I am the Messiah. But not all prophecy, not all now, it is “already and not yet.” Is the kingdom here? Already and not yet. Yes and no, you have to say. Yes, in some things; no, in others. Back to the New Covenant, how do we see the New Covenant fulfilled? Already in the Church; in some aspects, in a preliminary partial way, we enter into this new covenant, but even a reading of Jeremiah 31 will show that not all of it is fulfilled yet. Because it says, “I will put my Law within you and you won’t have to teach each one his neighbor, ‘Know the LORD,’ for they will all know me, from the least of them to the greatest of them (Jer 31:33, 34). That hasn’t happened yet. We have teachers in the Church appointed by God to tell people about God, teach them about the Lord. We have the gift of teaching in the Church for that very purpose. So it hasn’t happened yet. Our Father, we thank You for the hospitality of the people of this church. We thank You for the beautiful day that we enjoy and the safety of those who have arrived to this seminar. And now we stop and we give You thanks and acknowledge Your presence with us and we say thanks for the opportunity together to talk about such an incredible subject and open our eyes, enlighten the eyes of our hearts that we may understand Your Word and Your will a little bit better because of being here today…we pray in the name of our Lord and Savior Jesus Christ we pray…and everybody said…Amen. Actually, it was such traditions concocted beyond the pages of Scripture and without scriptural support and warrant that Luther had in mind when he himself drew the line in the sand and said this, and I quote, familiar quote, “The church needs to rid itself of all false glories that torture Scripture by inserting personal conceits into the Scripture which lend it to their own sense. 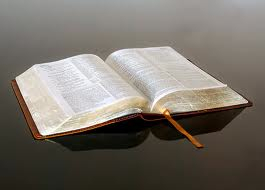 No…he said…Scripture, Scripture, Scripture for me constrain, press, compel me with God’s Word,” end quote. We know how serious this debate was because John had even…and James had enlisted their mother to go plead for them to be at the right and the left hand in the Kingdom and they were all seeking the ascendency and the prominence. And in the middle of that debate as he anticipates, of course, what the reality is to be in the future, they all gather around Him, He puts a little baby in His lap and says, “Look, while you’re arguing about who’s the greatest, let’s get to the real issue. You’re all little children.” Verse 2 says, “He called a child, set him in the midst and said, ‘You better become like this if you want to enter the Kingdom.’” And then He proceeds to preach a great sermon, one of the great discourses in Matthew on the childlikeness of the believer. And in this chapter He is not talking about babies, He’s talking about childlike believers. And that is pretty clear, I think, all the way through because He refers in verse 6 particularly “these little ones who believe in Me.” He’s talking about how we treat each other as believers. Is Jesus saying something here about infant salvation? Well the answer is no. What He is saying, I believe, is this, God cares for children. God has a special care for children. You never see Jesus gather a bunch of unregenerate adults and bless them. That doesn’t happen. But He does gather these little ones. He has a special care for children…and not just children of believing parents. There’s nothing to indicate that these children were children of believing parents or unbelieving parents. There’s nothing to indicate whether in fact there might have been a few Gentile children of Roman soldiers splattered in there who hadn’t even been circumcised. There’s nothing to indicate whether or not they were children of true Israelites who had had their heart circumcised or whether they were those of just the nominal Pharisaic legalists who seem to dominate the society. Jesus neither baptized them, nor caused them to be baptized. The Greek language has a different word, it’s the word rhantizo for sprinkle. And the mode does come in because of the imagery involved. Every New Testament use of the bapto family requires or permits immersion. Even John Calvin said, and I quote, “The word baptize means to immerse. It is certain that immersion was the practice of the early church.” And if you mess with that word and you make it something less than immersion in water baptism passages, then you’re going to make it something less than immersion in Romans 6 when it means to be immersed into Christ. And now you will confound the meaning of what is the heart and soul of the Christian gospel and that is the sinner by way of justification coming into union with Christ. We cannot mess with the word, we can’t…it’s like the people who want to deny eternal hell, they just denied eternal heaven at the same time because if you’re going to redefine what eternal means in terms of perdition, you’ve just redefined it in terms of glory also. This ordinance was designed by God and conveyed by the correct inspired words to fit the symbolism that God intended. Water immersion commanded of every believer is a picture and an object lesson and a symbol and a visual analogy of a spiritual truth. It is the way God has designed to teach the truth of personal salvation. Now what does it symbolize? Well you all know, unmistakably throughout the New Testament, Christian baptism is presented as a picture of the central spiritual truth of salvation. Do you understand that? The central spiritual truth of salvation is this, that one who was a sinner is now IN Christ. “I am crucified with Christ, nevertheless I live, yet not I but Christ lives in me.” I don’t even know where I end and He begins we are so immersed. I have been united in His death and resurrection. Romans 6 is unmistakably saying this. And Romans 6 is not talking about any water rite. Romans 6 is talking about a spiritual reality in which God places us spiritually into Christ that we die in Him and we rise to walk in newness of life, Galatians 3, Colossians 2, you know the passages. To be placed into union with Christ, that is the baptism that saves, 1 Peter 3:21. To be spiritually immersed into Christ, this is the washing of regeneration, Titus 3:5. This is the washing away of sin,Acts 22:16. So immersion into water was and is the inseparable outward sign of that spiritual union. It’s the only outward sign that depicts the death, burial and resurrection so clearly defined in Romans chapter 6. And it becomes synonymous with salvation in so far as Jesus used it instead of the word for salvation when He said, “Go into all the world and make disciples.” That was the substantive verb and the following verbs are participles that define that. How do I do that? “Baptizing and teaching.” Some people would say, “Those words should be converting and teaching,” but baptism had become so synonymous that not only could Jesus use it as if it referred to salvation because it did, Paul could use it in Ephesians 4 so explicitly as to say one Lord,….what?…one faith, one baptism. And again I remind you, the Scripture does make no such connection. If there were to be a connection made, I would think the better connection, just a suggestion for you Reformed folks who hold to infant baptism, if you want to make a better connection, you should connect New Testament baptism with the baptism of John the Baptist. If anything serves as transitional, that does. And you find in the baptism of John very clearly a pattern of baptism the likes of which you also see in sort of intertestimental proselyte baptism, but I think John’s is even unique from that. What you see in John’s baptism is repentance, first of all, conscious repentance and a preparation for the Messiah. And in fact, he blistered with a malediction hardly without equal until Matthew 23those leaders of Israel who came out there and he called them snakes and asked them what in the world are you unrepentant people doing here? Trying to get in on this baptism. Fourthly, and this will just be a brief point, I think I have about seven or eight minutes left. Infant baptism is not consistent with the nature of the church…infant baptism is not consistent with the nature of the church. What happens with infant baptism is you now have confusion as to the identity of the church. Confusion stems from the failure to distinguish between the visible local church, including unbelievers, and the invisible universal church which is only believers. In fact, it is true that pedobaptism(?) strikes a serious blow against the doctrine of a regenerate church. Further confusion lies in the failure to differentiate clearly between what it means to be a little member of the Covenant, as a baby, and what it means to be a true child of God. It is my conviction that the Scripture teaches the true church is made up of only believers. That’s unlike Israel. You can’t make a parallel. It’s unlike Israel. The rest of people apart from believers whether baptized or not baptized, whether confirmed or not confirmed, do not belong to the redeemed church. And they are at best tares to be burned. They are at best branches fruitless to be cut off and burned. And I really believe that infant baptism confounds the clear identity of a redeemed church because you have a world full of Catholics and Protestants who have been baptized as babies, ranging all the way from hypocritically religious, apostate religious through indifferent to outright godless, Christ-rejecting and blasphemous. And the question is…are they in the church or are they not in the church? If they’re out of it, when did they get out of it? Infant baptism, I believe, is a holdover from the absolutist state church system and an evidence of an incomplete Reformation which incomplete Reformation I believe sentenced that new redeemed community in Europe to the terrible, terrible death that it died, the death of which we can see even today. I am convinced that unless you have a regenerate church, you have chaos. But with the absolute church system in the national sovereign church, which, of course, the Catholic Church had all that power and the Reformers wanted some power to counter Rome, and so while Luther started out with a good intention of freedom of the conscience and all of that, eventually they started imposing everything on people and they…I think they forced back in the infant baptism thing to create the state church control that could allow them to have a power base to fight against not only each other, the Lutheran fought the Reformed, but the Roman states also. State Christendom in every form, Catholic, Protestant, Lutheran and Reformed, I think, misunderstands New Testament church doctrine. And it’s sad to think that Luther abandoned his original lofty idealism where he contended a Christianity of freedom and renouncing force and living by the Word and the Spirit and backed up into a state church perspective. Sadly he allowed, I think, what he hated to take place. There’s no…there’s no tragedy greater, I don’t think, coming out of the Reformation than the fact that the true church got executed, got stamped out under the massive weight of the state church system. There is no doctrine of the remnant in the New Testament, no such teaching. And I believe with sad darkening of Reformation light was the secularizing of the church, they brought back the very thing that Constantine had brought in it, they tried to get rid of. Sadly, modern Protestant Europe is as dark as old Catholic Europe. A state church and biblical Christianity are and always will be completely opposed to each other. The true church is not of this world, does not incorporate the unconverted. Infant baptism served the state church well, but horribly confuses the true church. And then you have to bring up the question…how do you do church discipline? How do we do church discipline on these people? I have through the years, I’m being a little personal, I have through the years tried to help fundamental evangelical Bible believing Christians understand the gospel. Isn’t that a sad thing? But that’s what I’ve tried to do. I have…if there’s any one single subject I have worked more diligently on than any other it’s the clarity of the gospel. And when you spend years and years and years of your life coming to a crystal-clear understanding of justification by grace through faith alone, and what it means to affirm the Lordship of Christ and all that is bound up in salvation, that becomes a very precious reality to you. And I don’t want to be anecdotal and I don’t want to make a point personally, but I can only tell you from my understanding of the broad picture of salvation, I cannot for the life of me find anything that infant baptism contributes to that but confusion. And that’s the point of 1 Corinthians 7. It is a needless thing to do because it ministers no saving grace to the child, it guarantees no future salvation to the child. And on the other hand, it perpetuates a misconception in the mind of parents that against all evidence, this child is somehow saved because of some event that occurred at their baptism. Luther had to go so far as to finally say they have unconscious faith because he knew salvation was by faith. Children are children, they do not understand. I cannot for the life of me understand why you’d want the convolute, the purity and the clarity of the doctrine of justification by grace through faith alone to the one who comes and repents of sin and embraces Jesus Christ with this act which admittedly has no saving efficacy, delivers no redeeming grace, infers no faith, is not symbolic of any union with Christ. The only point of it is to confound the person about what this meant and to confound the church with an unregenerate membership. Why not defer the sign until the reality of saving faith? Nothing is lost. Certainly doesn’t change election. And I think it helps…it helps to wait until a calling and election are sure. It doesn’t change anything for the child, but rather could hamper a child’s true understanding of their spiritual condition. Tags: Believers baptism, Credo Baptism, Debate between John MacArthur and R.C. Sproul on Infant Baptism, John MacArthur's Case for Credo Baptism, Paul Sailhamer, What's the case for credo baptism? How Old Is The Practice of Infant Baptism? The earliest explicit mention of infant “baptism” in the history of the church is from the African church father, Tertullian, who lived from about A.D. 160 to about 220. He was born in Carthage, studied in Rome for a legal career and was converted to Christianity in about 195. He was the first Christian theologian to write in Latin and exerted significant influence through his apologetic works. What we see here is that the first explicit witness to infant baptism does not assume that it is a given. In other words, at the turn of the third century it is not taken for granted, as it is 200 years later when St. Augustine addresses the matter. Tertullian speaks the way one would if the practice were in dispute, possibly as a more recent development. It is significant that in regard to the family of the Philippian jailer Luke reports in Acts 16:32, just before mentioning the baptism of the jailer’s household, “[Paul and Silas] spoke the word of the Lord to him together with all who were in his house.” This seems to be Luke’s way of saying that hearing and believing the word is a prerequisite to baptism. The whole household heard the word and the whole household was baptized. In any case, there is no mention of infants in any of these three instances of household baptisms, and it is an argument from silence to say that there must have been small children. It would be like saying here at Bethlehem that a reference to Ross Anderson’s household or Don Brown’s or Dennis Smith’s or David Michael’s or David Livingston’s or dozens of others must include infants, which they don’t. Yet from these texts, Joachim Jeremias, who wrote one of the most influential books in defense of infant baptism, concluded, “It is characteristic that Luke could report the matter thus. For by so doing he gives expression to the fact that ‘the solidarity of the family in baptism and not the individual decision of the single member’ was the decisive consideration” (Infant Baptism in the First Four Centuries, 1960, p. 23, quoting Oscar Cullman, Baptism in the New Testament, 1950, p. 45). I would rather say that the entire drift of the New Testament, and many particular sayings, is in the opposite direction: it is precisely the individual in his relation to Christ that is decisive in the New Testament, rather than solidarity in the flesh. “It is not the children of the flesh who are children of God, but the children of the promise are regarded as descendants” (Romans 9:8). Tags: A short history of Infant baptism, Baptism, Infant baptism, John Piper on Infant Baptism, paedo baptism, What is the NT evidence for infant baptism?, When did infant baptism begin?